Did you know that if you are on the retiree dental program, you must act by Dec. 10 to continue insurance? That, and a few other significant changes are in the works at Tricare - find out what you need to know. Are you ready for the big change coming to dental coverage for military retirees and their families? For the 1.4 million beneficiaries who are enrolled in the Tricare Retiree Dental Program, that program ends Dec. 31. All military retirees will be eligible to enroll in the federal employee dental program for coverage that begins Jan. 1. That includes another 1.3 million eligible retired beneficiaries who aren’t currently enrolled in TRDP. No retiree is automatically enrolled in the new program — called the Federal Employees Dental and Vision Insurance Program. Retirees must enroll, and they must do it during a specific time frame, starting Nov. 12 and ending Dec. 10. “This is a big culture change on many levels,” said Kathy Beasley, a retired Navy captain who is director of government relations for health affairs at the Military Officers Association of America. “Retirees now have choices, and they have to make these choices in a narrow frame of time,” she said. Retirees have a month to look at the choices available and determine what kind of coverage is best for them and their families. But advocates and experts advise starting that research early. The details of each plan are available at Tricare Benefeds, which includes an online tool for comparing the features of the plans. 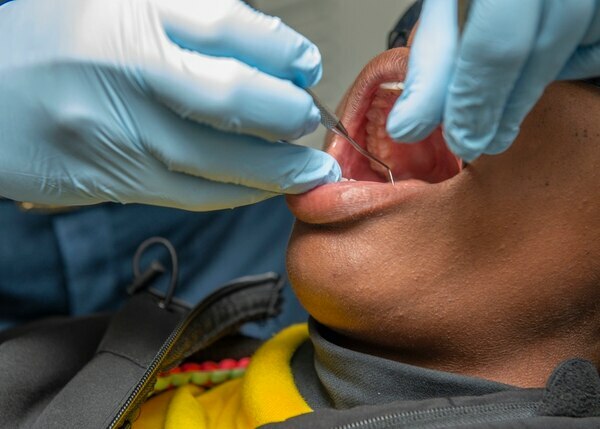 Information was not available from the American Dental Association about whether more dentists are willing to accept FEDVIP plans than the current Tricare Retiree Dental Program, or whether FEDVIP plans in general cover more of patients’ dental care. However, in an article in ADA News on Sept. 6, the chair of the ADA Council on Dental Benefit Programs stated that the benefits of patients using the Tricare Retiree Dental Program “may be significantly different” following enrollment in the FEDVIP. Big changes for vision coverage. You must sign up by Dec. 10. Defense officials also recommend that retirees talk with their dentist, because many of those dentists accept FEDVIP plans. Retirees should also ask their dentist about dental needs expected for next year. Delta Dental, which administers the Tricare Retiree Dental Plan, is one of the dental carriers that offers plans in FEDVIP, but the Delta Dental FEDVIP plan is different than what was offered under Tricare, so you should compare all plans available to you under FEDVIP before making a decision. Aside from FEDVIP, there are other options out there for dental and vision insurance. You should compare what your employer or your spouse’s employer offers. You can also check with some of the major insurance carriers. Other options include companies and organizations like AARP and USAA, which offer dental and vision insurance. Frank Yoakum, a retired Army sergeant major who is executive director of the Enlisted Association of the National Guard of the U.S., said he studied the various plans, then went to his dentist’s office to ask the insurance expert about whether they are in the provider network of any of the FEDVIP plans. He asked what’s best for his family’s situation. For his dentist, it boiled down to three insurance carriers, one of which they didn’t recommend. So, he’s in the process of evaluating the details of those two carriers’ plans. Yoakum cautioned retirees who made plan comparisons and decisions before Oct. 1, when the new rates and plan details were made public, to recheck their decisions as some of the details besides rates have changed. To find out what has changed in any of the plans for 2019, check the plan brochure, available on the Tricare.benefeds.com website. There is a page in each brochure that lists all the changes for 2019. Sharon Kullander, a retired government civilian and wife of an Air Force retiree, said she continued their FEDVIP coverage after she retired from her agency. She and her husband never considered switching to the Tricare retiree dental program because of the experience of her brother, also an Air Force retiree. “His experience had not been good,” she said. Smile, military retirees! You have new choices in dental coverage. Because of the low annual maximum dental benefit for Tricare retirees, her brother hit that cap quickly one year and had to delay needed, expensive dental implants. Kullander talked to some previous coworkers who had retired about their decisions in coverage. In considering her options, she looked at whether the plan covers two dental checks and cleanings each year, how much it pays for crowns, whether there’s an annual maximum dental benefit, and the cost. She did change carriers after retirement because of the cost.